TimeTrak job estimating and quoting software is a fast, online solution that can save you countless hours of paperwork, helping you to produce more detailed, accurate and professional estimates. TimeTrak is not just easy-to-use job estimation and quoting software, it has added functionality including job tracking, scheduling, inventory management, project management and workplace safety and compliance, making it the perfect full feature solution for any sized contractor across any trade. TimeTrak job quoting software is a fast, mobile solution that can save you countless hours of paperwork. It can help you create more detailed, accurate and professional estimates from the office or even the field. Create a quote from scratch while still on your client's site, it's that simple. 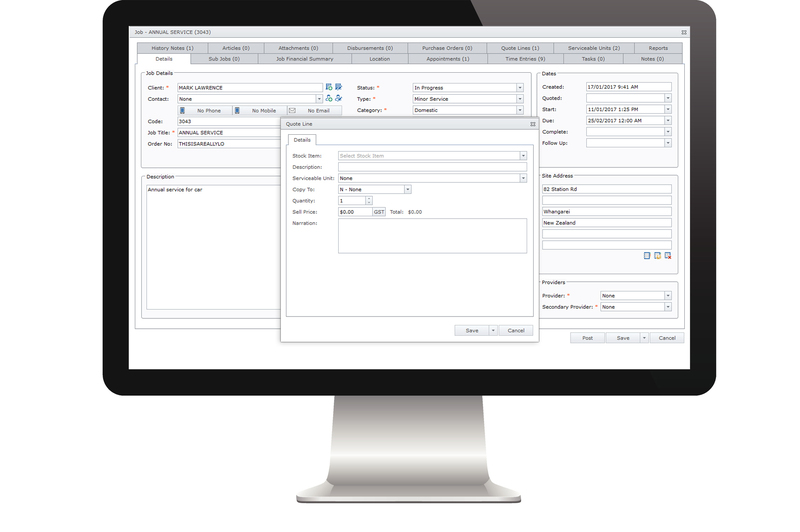 TimeTrak can take a job from initial contact through to invoicing, including integrations with ERP software. TimeTrak job quoting abilities are full integrated with all tasks and projects so you can compare the current cost of a project and the quoted value at the click on a button. You'll have full control of your projects with total visibility of how a project is tracking and which areas are more profitable than others. You can access TimeTrak from anywhere, on any connected device, enabling your field techs to create quotes for clients on the spot. 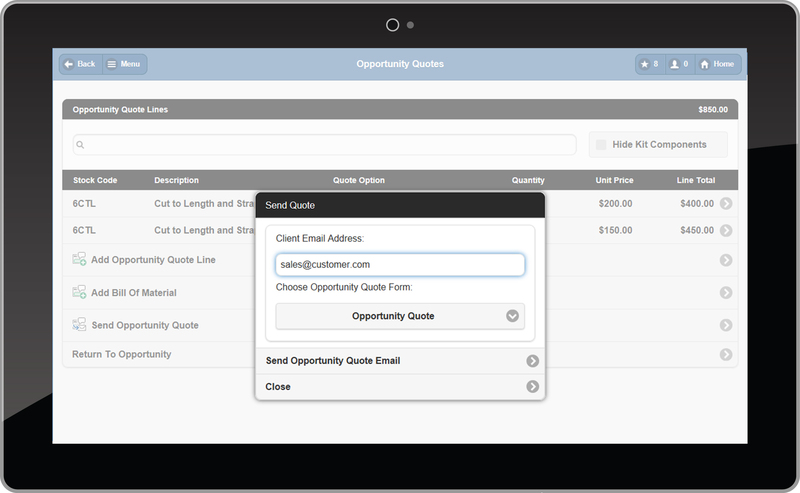 All information is in real time so you can email a quote to your client as soon as it's completed. Set up templates from existing quotes you have created for tasks your business performs on a regular basis, then simply import your template into a new quote - just adjust the quantities for your new job. You can access TimeTrak from anywhere, on any connected device because it's a cloud-based, mobile solution. Your field staff can create quotes for clients on-the-spot. All information is live so you can email a quote to your client as soon as it's been completed. TimeTrak's detailed quotes and job estimates not only ensure you accurately quote on labour and materials. It also takes into account the hidden costs of projects like project management allowances, and the time needed to complete the project. TimeTrak can help you keep your business on track all day. You can add attachments such as receipts, photos and packing slips from the office or the field to purchase orders. Using either TimeTrak Professional or TimeTrak Mobile, your whole team are able to create detailed purchase orders and quotes from wherever they are, offering up-to-date pricing direct from your systems ensuring quotes are correct. TimeTrak is not only a job management tool but also an easy to use customer relationship solution. We know how important it is to keep customers satisfied and informed, and we have incorporated a simple solution into our product. Mobile CRM allows your field technicians to create prospects or opportunities in TimeTrak Mobile anywhere with an Internet connection. 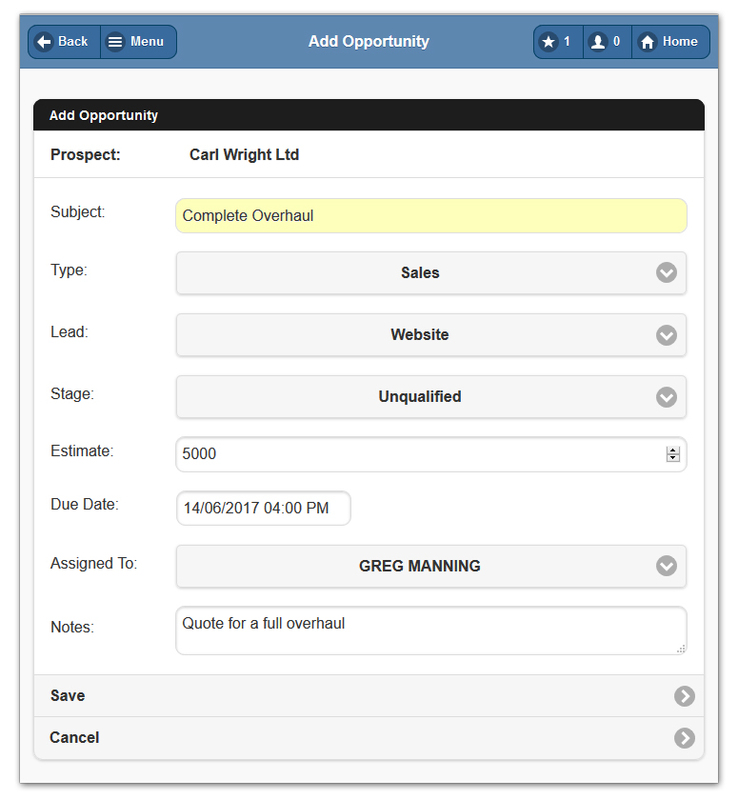 From there, they are able to create an opportunity quote and track any activities along the sales process. Create and improve customer relationships with TimeTrak. Find out more about Mobile CRM. Say goodbye to complicated scheduling and manual invoicing, TimeTrak is the more efficient way to run your construction business. Improve the manufacturing process with better people and job management, plus streamline business processes like quoting and invoicing to increase productivity and profits. Manage your busy team with ease with our job and project management solution. A fast, easy to use job or project tracking solution. The simple solution to task allocation and management. Reduce the paperwork, save time & impress clients. Keep accurate information with this reliable solution. Customise and manage your invoices faster with this solution.